Gov. 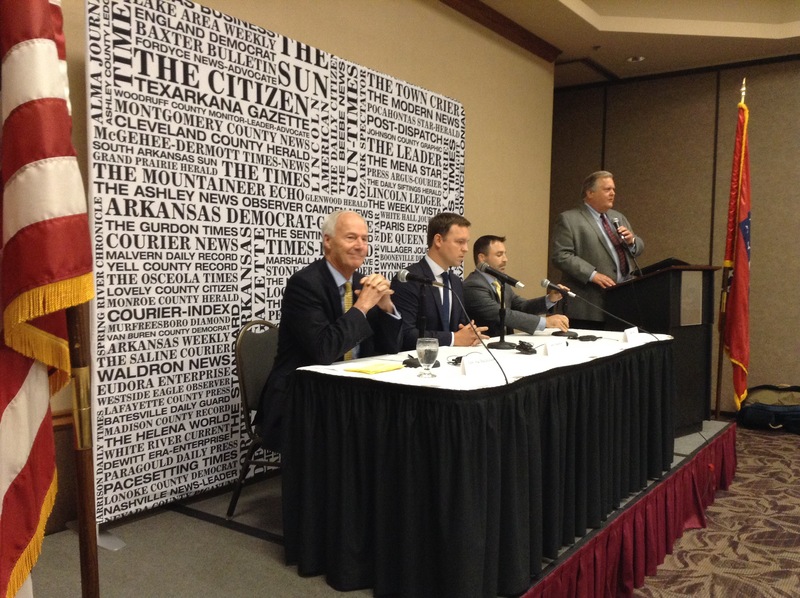 Asa Hutchinson (R), Democratic candidate Jared Henderson and Libertarian candidate Mark West prepare for the first gubernatorial debate of the year during the Arkansas Press Association’s 2018 SuperConvention. Moderator Rusty Turner provided questions about proposed work requirements for Medicaid recipients, reduced tax rates for affluent citizens, teacher pay, legislative scandals, highway funding and Sunshine Law support.